– Complete the exciting campaign, which lets you unlock unique ships and historical captains from the Golden Age of Piracy. – Travel the fully open world allowing exploration of both charted and uncharted waters full of enemies, treasure islands, smuggler outposts, towns and more, without a loading screen. – Explore the Caribbean Sea, conquer cities, trade, and seek treasure and hidden locations. – Loot, trade and build. The game features an economy system allowing you to gain gold and upgrade your ships. 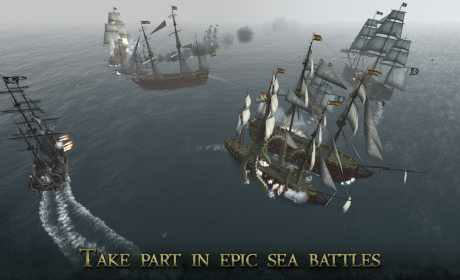 – Expand your fleet and become a force to be reckoned with in fierce sea battles. – Enjoy the visually striking graphics, realistic physics, dynamic day and night cycle and weather system.